Just a quick write up for this post today, since I've got TONS of furniture in progress [some painted, some sanded, some needing waxing, some still in my car!] and need to get busy before I head out of town next week. But I wanted to share my latest painted piece here, because it's in a color I haven't used before. I bought this piece the other day because I liked the dental moulding at the top and the design of the doors. I always look at the lines of a piece of furniture first and foremost [and the quality of the wood of course!]. It's not like a console I've painted before. It's the same height and shape as a tall nightstand. 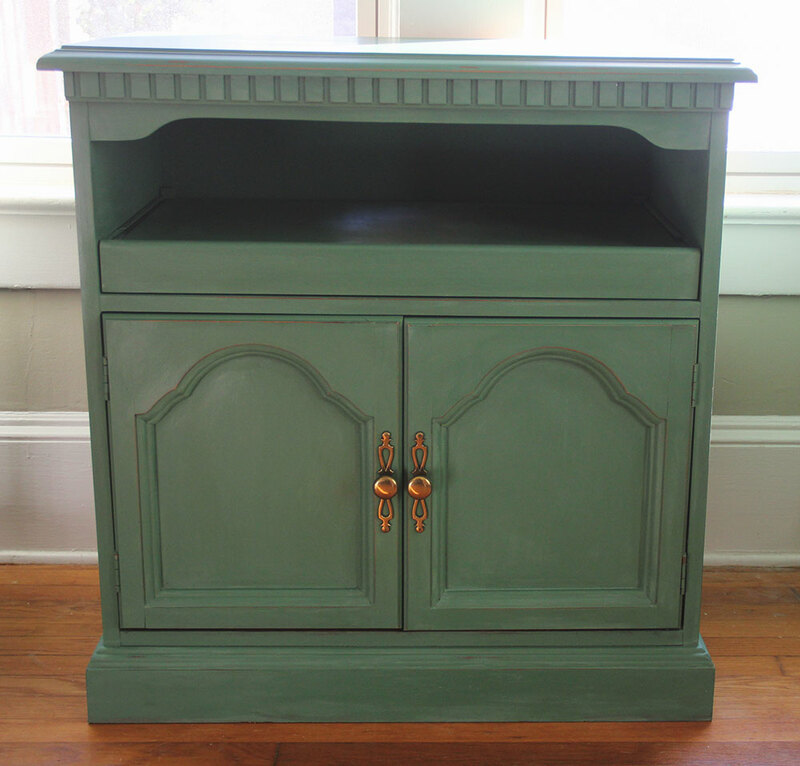 I find a lot of my clients are on the hunt for larger nightstands these days, and this guy certainly fits the bill. What's unique about it is that not only can it act as a nightstand, it also has a pull out, that makes it an impromptu desk when in a pinch. That allows this console to work as a super petite desk which can be an essential for smaller homes or apartments where space is minimal. With smaller spaces, furniture that can serve for multiple uses is ideal. I created this color using a hodgepodge of paints I already had on hand. The ones I can remember most distinctly are Annie Sloan's Florence, English Yellow, and Olive. What came about was a really lovely green, and what I like to call evergreen because of the hint of blue in the paint. 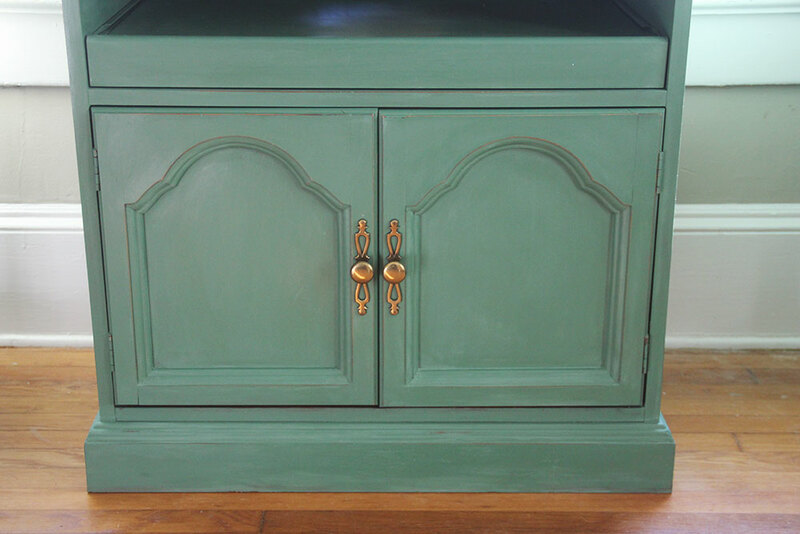 I distressed it a bit, because the warm wood tone worked nicely with the cool green, and the result is a great piece that can be the perfect, entry console, nightstand, or desk in a color you probably can't find in stores everyday.